"It is the divinely bestowed privilege of the Saints to sing praises to the Holy Trinity, and to extol the Name of Father, Son, and Holy Spirit. Throughout Scripture and the history of Divine salvation, even to the present day, the people of God have expressed the inner reality of the Divine encounter by means of song. Where mere written words fail to portray fully the truth of the mystery of faith, the Church has employed sacred hymnology to be, as it were, an icon of song and verse, expressing clearly the truth in our Lord and Savior Jesus Christ. The music of the Church, therefore, should not be considered as one might consider other forms of music, whether classical or contemporary. This music requires in us a longing to know God and to possess a desire to behold Him portrayed in our song. 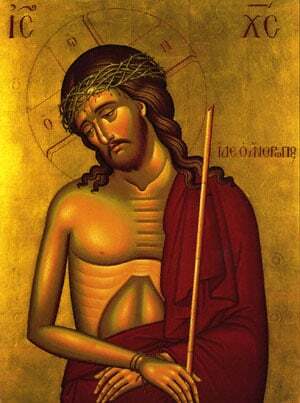 It requires that we be true to Christ, for in singing and chanting we become witnesses (martyrs) to the truth." Chanting the services of the Church and reading the Scriptures and prayers within the Church, is a great blessing and responsibility. Through our song and words, we imitate and join the angels in their unceasing praise of God; the heavens and the earth are united in our common doxology to the Lord. If anyone is interested in learning more about Byzantine hymnody and in assisting in this ministry, please contact Father Demetre.